Jonas Umbrellas was named after Jonas Hanway, who was a traveler and a philanthropist in the 1700's. He is considered to be the first Londoner to tote an umbrella. Hanway founded the Magdalen Hospital and was well known for his universal kindness and citizenship. Today, the Jonas Foundation pays it forward by providing better access to much needed, clean water. They provide a beautiful, simple, limited edition umbrella for the buyer and direct support for clean-water projects. It's wonderful! Stay Dry. Give Water. Make a Difference. 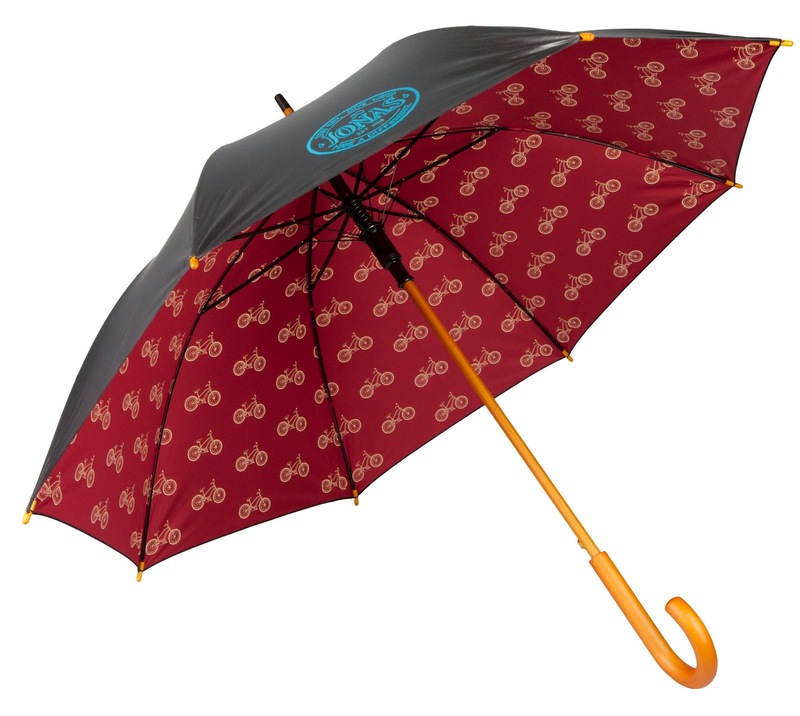 All of the umbrellas which we have received for National Umbrella Day are just beautiful! It would be impossible to choose a favorite. However, an umbrella connected to a good cause just makes it seem even more beautiful! The umbrella is black with the Jonas logo on one panel. The inside is a reddish hue with a bicycle pattern. The canopy is 48" and the curved wooden handle is engraved with its unique number. The umbrella has an automatic open button and the ribs are comprised fiberglass. It's as sturdy as it is simple and beautiful. You may purchase yours at the link below. And, feel free to. It's an excellent way to acknowledge National Umbrella Day.